A young man on #Focus5 has enjoyed using his special interest to learn new skills and improve self esteem. This 19 year old has been with #Focus5 for a while and was referred because he has quite complex needs, comes from a disadvantaged background and was struggling to find a way into employment or training. His family has a very low income and his parents have been relying on him acting as a young carer. He has learning needs and a diagnosis of attention deficit disorder. He is incredibly shy and finds it really difficult to communicate with people his own age or have contact with the outside world. He began a voluntary work placement through #Focus5 but it was too overwhelming for him. His #Focus5 key worker needed to take a different approach so she started helping him look at the skills he does have, and explore his interests. From here she has been able to build his confidence, independence and communication skills by tailoring his support around the things he likes doing most. 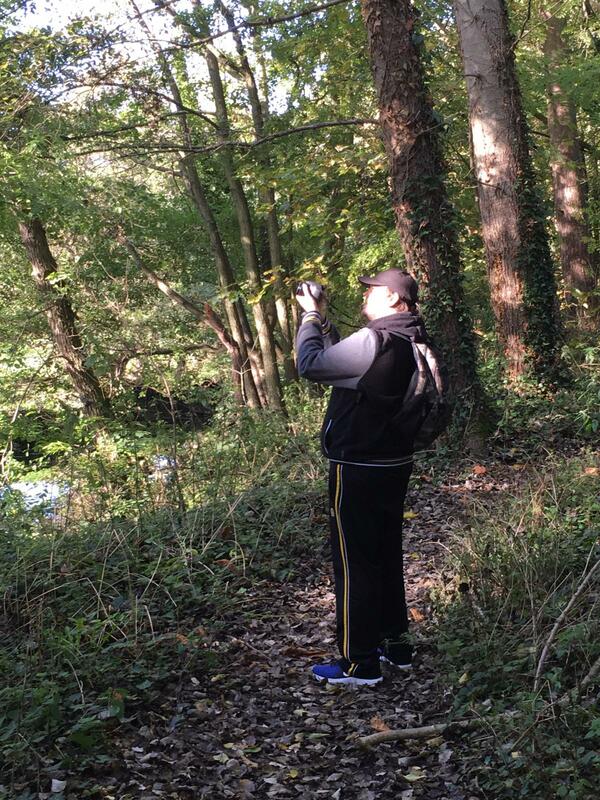 For example they recently had a session together at Yeovil Country Park to do some work around his passion for photography. Leaving the house was in itself a confidence exercise, and when they arrived he realised the battery on his camera had run out, so he had to use his communication and problem solving skills to find a shop and locate new batteries. He didn't give up! He was determined to persevere and enjoy the experience. In the end they spent two hours walking around talking and taking lots of beautiful photographs which will next be developed, framed and made into albums. He will soon move on to the Positive People programme where hopefully his interests can be taken further into employment or training opportunities. Sometimes just enabling young people to remove themselves from their homes and the constraints that stop them believing in themselves can make all the difference. His key worker said those two hours being out surrounded by nature and indulging in his special interest allowed him to open up and properly communicate with her. Often young people on the autistic spectrum or with attention deficit really do need to be working or learning in an area that truly engages them, allowing them to focus and achieve results. We wish him all the very best with his next steps and hope we'll see him taking small steps towards a photography career in the future.